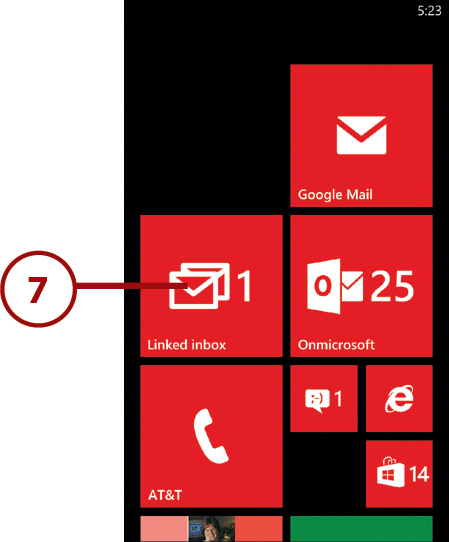 Windows Phone 8 provides a number of settings that you can use to control the way that your phone handles email messages. For example, you can use the various settings to do things like linking multiple mailboxes together or enabling conversation view for messages. 3. 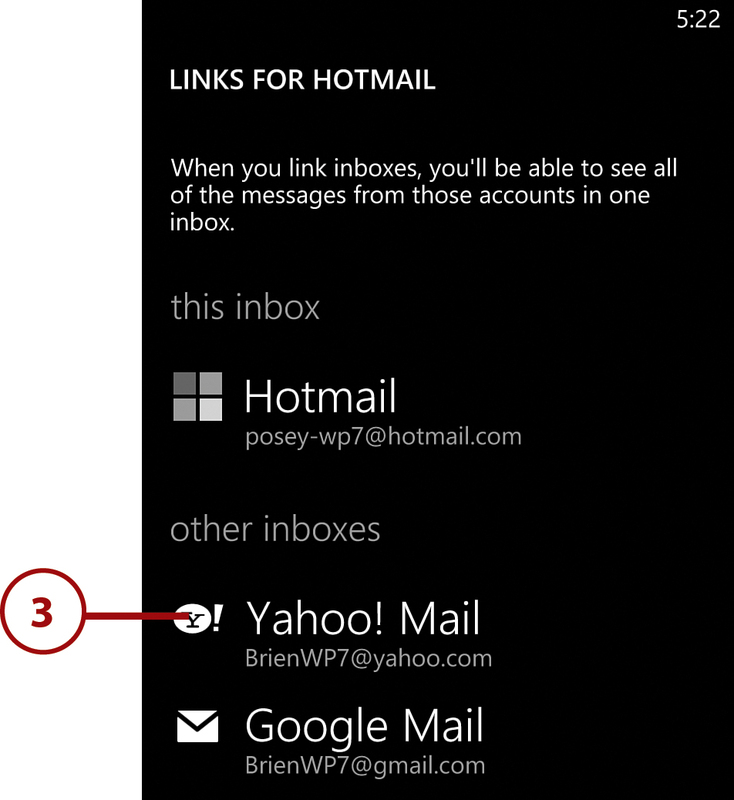 Tap the name of the mailbox to which you want to link. 4. Tap Rename Linked Inbox. 5. 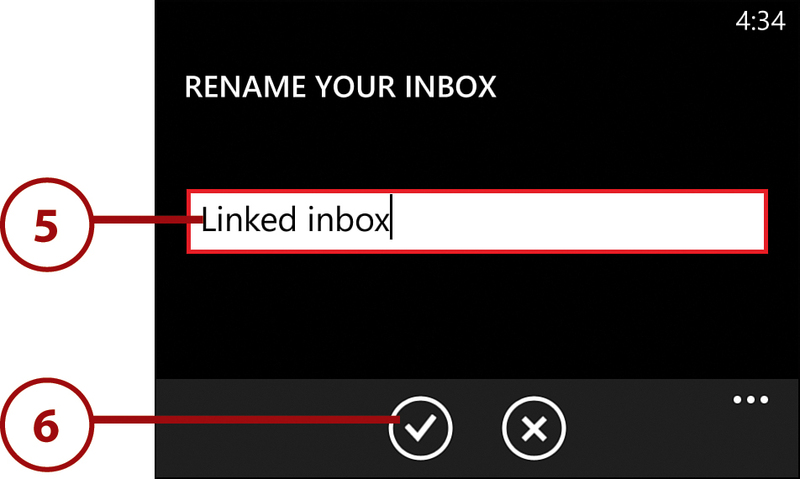 Give your Inbox a name that reflects its purpose. 6. Tap the Done icon. 7. 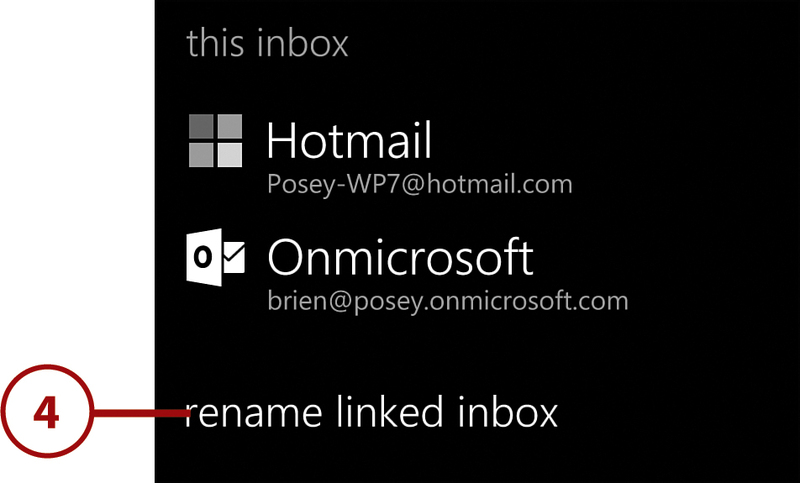 The linked mailbox is displayed on the Start screen under the name you assigned to it. 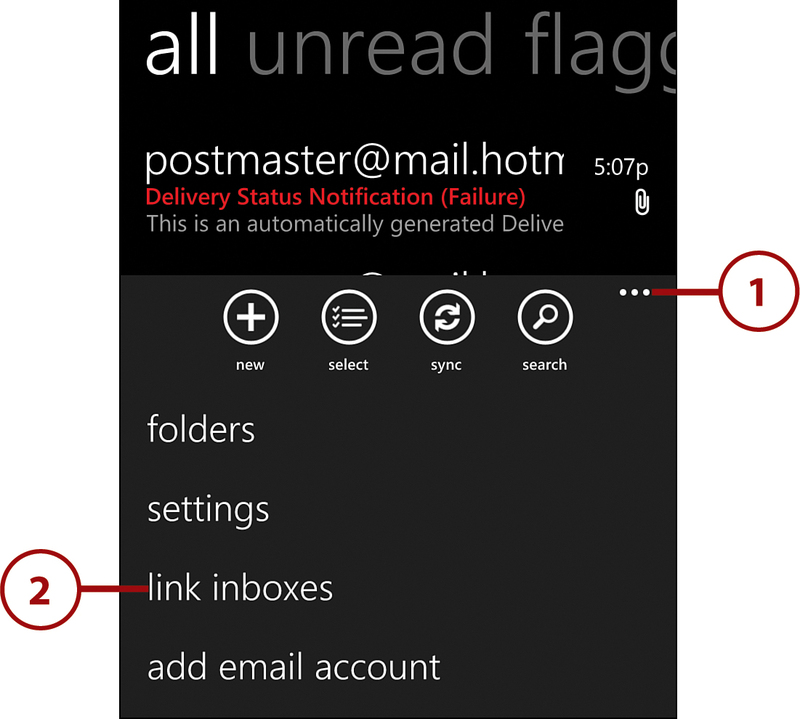 Multiple mailbox icons designate it as a collection of linked mailboxes.